We knocked this portrait session out of the park with Beach Body blogger Lindsay Matway and her bombshell baby! 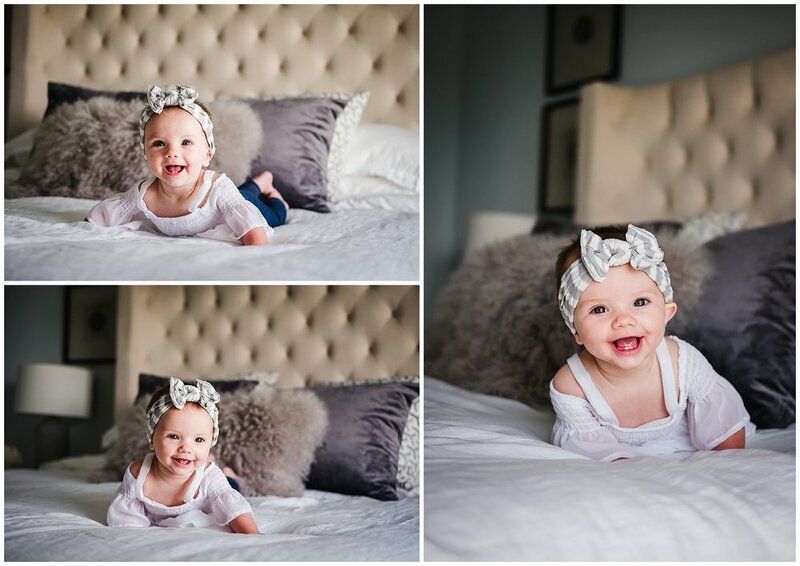 Little Madi just turned 6 months old in these photos! I love capturing portraits in a person's most natural habitat- their home. You really get a sense of Lindsay's sunny personality with that radiant smile! I am partial to the portraits where she is snuggled up on the couch with a soft blanket, because they have a sweetness and vulnerability that shows another side to this incredibly strong and successful woman. I also enjoy the images shot outside on the dock, where you can see the radiant spirit of someone who loves being under the sun and by the water. Women today play many roles: mother, wife, chef, professional, intellectual, athlete, and so many more. Lindsay is someone I truly admire for her ability to do it all! Read about her story on her blog, lindsaymatway.blogspot.com.